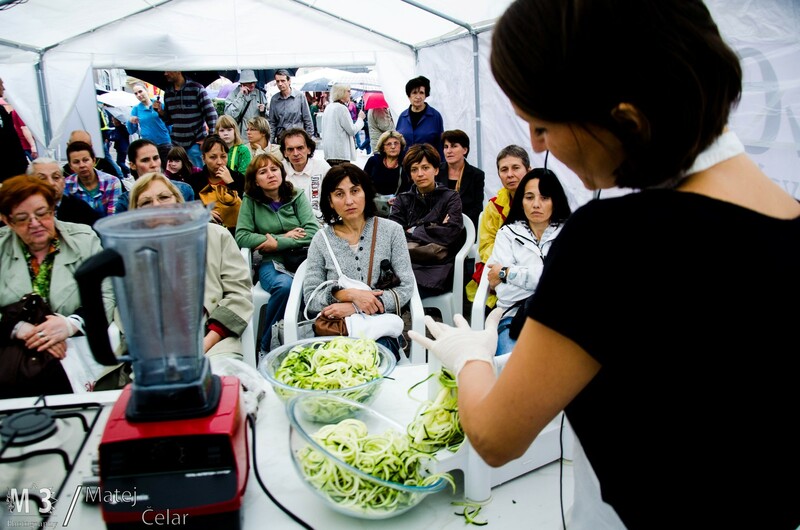 The ZeGeVege Festival flaunts an all-day program of culinary workshops, food samplings, professional counseling, attractive lectures, practical workshops, and other educational events for the third consecutive year. Engaging lecturers, nutritionists and other experts will transform this year’s ZeGeVege Festival into an experience you will not forget. The Festival runs from Friday, September 4, 2015 (9 a.m. – 9 p.m.) to Saturday, September 5, 2015 (9 a.m. – 7 p.m.) in Zagreb’s Main Square. 17:00 Association Udruga Pobjede – Who is oinking among 200 dogs? Dr. Melanie Joy, social psychologist, professor and author of Why We Love Dogs, Eat Pigs, and Wear Cows: An Introduction to Carnism, is a researcher of the psychology of carnism. In her lecture, Dr. Joy maintains that in order to eat (only certain) animals, we must suppress what we know about their sentience and ability to feel pain, as well as the inhumane treatment of animals across the globe to satisfy our “needs.” The lecture will encourage you to rethink your own dietary choices and provide a compassionate perspective on the philosophy of food. After more than twenty years of management and stress, Jelena Tomašević’s life took a 180 degree turn. She will share her positive experience with green juices to help all those cooking enthusiast who are still struggling with green juices. Join us in the workshop and discover how to effortlessly prepare a delicious and healthy meal, select appropriate ingredients, and hit the right ratio of greens, fruit and supplements: the so-called superfoods, dried fruit, wild plants, or tropical fruit. A workshop on composting as a practical solution to kitchen biowaste management at home. Food scraps and garden biowaste in municipal landfills contribute to environmental pollution, but with proper composting procedures can be converted into healthy organic food for plants. Biowaste is far from garbage; it is a valuable resource which can easily be made into a high-quality compost for veggies and flowers on your balcony, in your garden, or even in your apartment! Tatjana Zajec, DVM, not only helps sick and abandoned animals, but also practices an interesting fusion of sports and nutrition. During her long-lasting career as a vegetarian, and later vegan, she has learned how to best combine sports and her great love – mountaineering – with the challenges of the vegan diet in unusual places and corners of the world. Today she expertly links her great knowledge of nature and life in the great outdoors with her vegan diet, throwing in a dash of running, rock climbing, mountaineering and alpinism. Except for raising your cholesterol, what function do eggs have in the human diet? In this workshop, we will learn that eggs are replaceable in many dishes that traditionally call for them, and how to substitute them in recipes. Nikolina Plenar will demonstrate how to transform common ingredients like potatoes, celery, onions and apples by breading, to the joy of the visitors’ taste buds. Choosing organic is not only a question of personal welfare, but also of attitude and lifestyle, especially when combined with the standards of veganism. Find out more about the benefits of organic and vegan products for your personal health and the environment, how to recognize eco-friendly products, recent Croatian and world trends in organic products, and how to make your life more sustainable beside choosing organic and vegan in this detailed lecture. In recent years, raw vegan diets and other “healthy diets” have gained in popularity and the number of practitioners. On the other hand, they are often perceived as complicated, expensive, impractical and inaccessible. This workshop puts the focus on the practicability and sustainability of raw food in our climate, and teaches how to prepare simple delicious meals using the ingredients available at farmers’ markets and in our gardens. Marina Zrnić, author of the popular cookbook Thank you, I don’t cook, will make the fruit lasagna and veggie rolls. Aleksandra Hampamer is a seasoned vegan and animal rights activist. As a volunteer and manager of Čakovec’s Animal Shelter, she is a daily witness of animals’ vulnerability and ability to feel pain and suffer, but also joy, the same as humans. She is the leader of the organization Umjetnost davanja, and has published a number of books on animal rights through Dvostruka Duga LLC, a publishing company showcasing at the Festival. She is the author of a veggie cookbook, and one of the founders of Vegefino, a manufacturer of processed vegan food. In her lecture she will speak about the challenges she has had to face while dedicating her life to the protection of environment, children and animals. The ecological footprint is a measure of the amount of soil and water spent for our everyday needs. Diet is a critical element of the footprint. Plant-based diets consisting of grains, legumes, vegetables and fruits are the least contributor to the greenhouse gas emission. 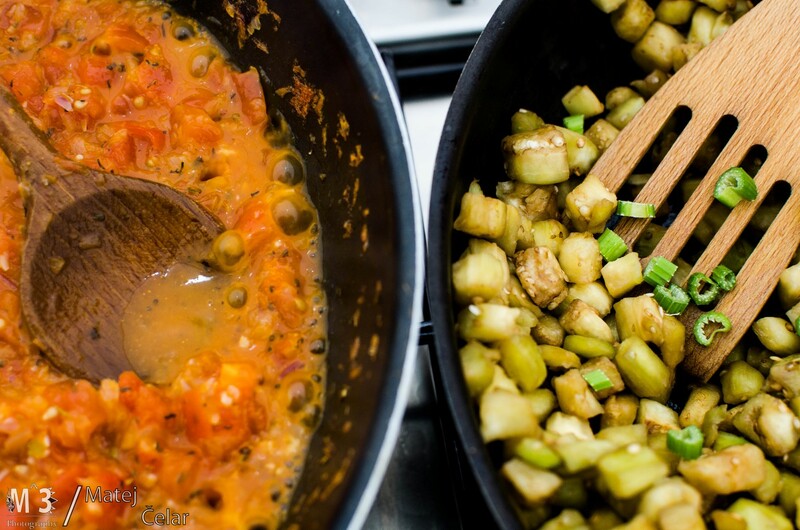 Veganism boasts many advantages, and Dubravka Novotni, docent at the Faculty of Food Technology and Biotechnology in Zagreb, will in her lecture speak about contributing to the environmental protection by eating a plant-based diet. The Center for Food Culture’s falafel workshop is a prelude to the Veggie Cooking School, starting October 15, 2015 at the Center. You can learn how to cook and process plant-based ingredients, replace animal-derived ingredients, and effectively plan your meals, shopping and cooking in a relaxed atmosphere under professional guidance through 10 theme workshops with more than 40 recipes. You can expect delicious recipes, a creative approach to cooking, and practical advice and tricks of vegan cuisine. Get 50% off on your application during the ZeGeVege Festival! Dragan Šurlan, psychologist, founder of the Fitness Bootcamp program, coach and author of articles on adopting healthy habits and smart exercise, will talk about how to feel better in your body and improve your health with a plant-based diet and exercise. Mr. Šurlan will introduce simple but significant changes toward increasing the quality of life and building a more positive relationship with your body. He will also share delicious vegan recipes and demonstrate effective exercises which you can practice anytime and anyplace. You think our green spaces need more flowers? You want to forgo tilling and start growing your veggies in a field? Try seed balls! Pick your seeds, wrap them in a nourishing ball, throw into some dirt, and let nature take its course. Discover the possibilities of this method and how it developed. The workshop is open to adults and children, and your seed balls go home with you. No pâtés, omelets, salami or cheese? What do those vegans eat for breakfast ? Find out in our morning workshop – we will make delicious spreads and put them on pancakes (yes, egg and dairy-free ! ), snack on some sumptuous fried mini pastries, and to satisfy that sweet tooth, cook the special oatmeal with dried fruits, nuts and other tasty ingredients. In an age in which the world is flooded with nutritional misinformation, Prof. Veith gives scientifically backed answers to some of the questions which plaque people seeking a healthier lifestyle. In his lecture, Prof. Veith talks about the impact of our food choices, the role of food additives, the dairy and meat industry as well as how to implement a viable healthy lifestyle. Mihaela Devescovi, editor-in-chief of the Web portal sirovahrana.hr and author of the excellent Raw Food cookbook, will show us how to make the healthiest raw desserts. This workshop will make your sweet tooth tingle. Make quick and easy desserts with natural raw ingredients. The sweets are sugar-, gluten-, egg-, butter-, margarine-free, and amazingly delicious. Ethics and principles based on compassion, freedom, justice and love are nowadays only bywords for the qualities inherent in humans, but which are on the canvas of the man-made world visible only in fragments. This world’s biggest victims we humans have hidden from our own eyes, pushed deep into our shadow, and wrapped how we treat them into a myth weaved with threads of terrible falsehoods. This lecture will expose the greatest myth of all, the story unraveling every day in the hidden recesses of our human shadow – the myth about milk. To hear the story is not only to get informed; it is to take an important first step toward the animals which are its subjects, but also toward ourselves as human beings. The healthy and popular tofu, or soy cheese, is dense in proteins, vitamins and minerals, making a great addition in everyone’s diet. However, even tofu-lovers are sometimes left scratching their heads over how to use tofu to prepare quick and tasty meals. Instructor Irena Mikšić will demonstrate how to prepare a few simple, basic meals with tofu and okara, the pulp leftover form making tofu. All dishes will be free to sample. Cooking instructor Vladimira Vlatka Frketić will demonstrate how to prepare many great vegan treats by using a single recipe to make three different healthy desserts. Beside the demonstration and tasting, she will tell a story about natural vegan sweeteners which are good for your body, and how to guiltlessly satisfy your sweet tooth on a vegan diet. The Center for Food Culture’s meatless meatball workshop is a prelude to the Veggie Cooking School, starting October 15, 2015 at the Center. You can learn how to cook and process plant-based ingredients, replace animal-derived ingredients, and effectively plan your meals, shopping and cooking in a relaxed atmosphere under professional guidance through 10 theme workshops with more than 40 recipes. You can expect delicious recipes, a creative approach to cooking, and practical advice and tricks of vegan cuisine. Get 50% off on your application during the ZeGeVege Festival! Association Udruga Pobjede – Who is oinking among 200 dogs? Udruga Pobjede, an organization from Osijek, runs a shelter which safely houses more than 200 dogs (and a few other animals) until their eventual adoption. The organization and shelter, one of only six no-kill shelters in Croatia, vocally oppose killing, and systematically advocate a no-kill policy and the rights of all animals. Learn about one person’s path from volunteer to vegan activist! The lecture will show how dogs can teach us solidarity, compassion, social responsibility and activist approach, how the shelter changed the lives of its volunteers/activists, and who they are today compared to yesterday. Ivan Zoković’s mission is to bring the blessings of the 21st century to everyone’s doorstep, provide technical solutions, and encourage people to effectively use them. Thanks to the Internet, the Do-it-yourself culture is more popular than ever through “people-oriented technology.” The lecture will cover practical examples of simple technical solutions which can make everyday activities more sustainable and eco-friendly, such as: solar collector, high-efficiency biomass stove, biogas produced from kitchen waste, solar cooker, biodiesel made from used vegetable oil, and solar oven.